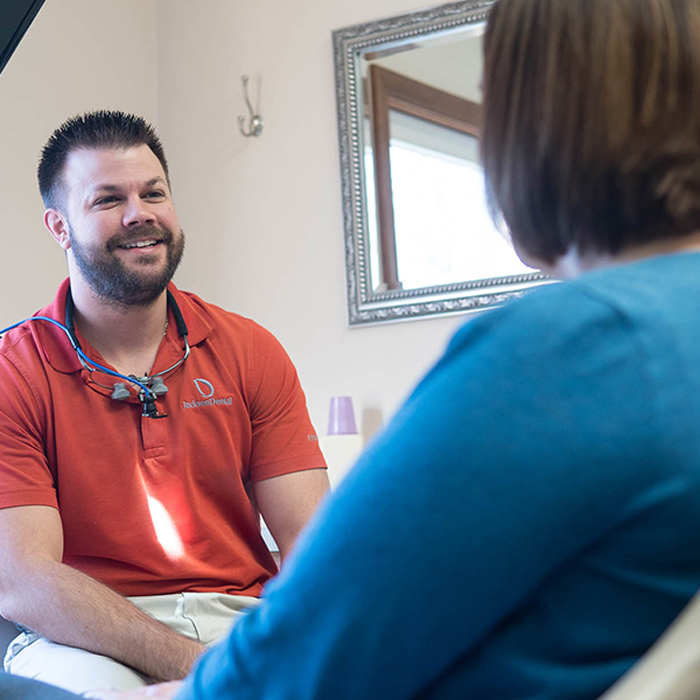 Jackson Dental – Compassionate, patient-centered family dentistry in Jackson, Missouri. 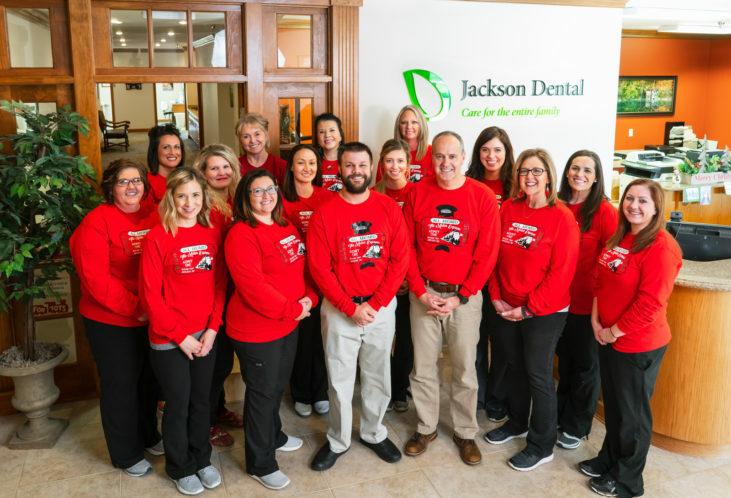 From our Jackson office, we happily serve patients from Jackson, Cape Girardeau, Marble Hill, Perryville or anywhere else in Southeast Missouri. Our priorities are your comfort, your health and your smile. Call to schedule your appointment 573-243-5200. Jackson Dental is a family dental practice located in Jackson, MO that serves patients across Southeast Missouri. Our highly trained, professional team specializes in providing compassionate, patient-centered dental services including preventative, cosmetic, and restorative dentistry, oral appliance therapy, dental implants, Invisalign®, Zoom teeth whitening and more using cutting-edge technology and leading industry techniques. Our priorities are your comfort, your health and your smile. 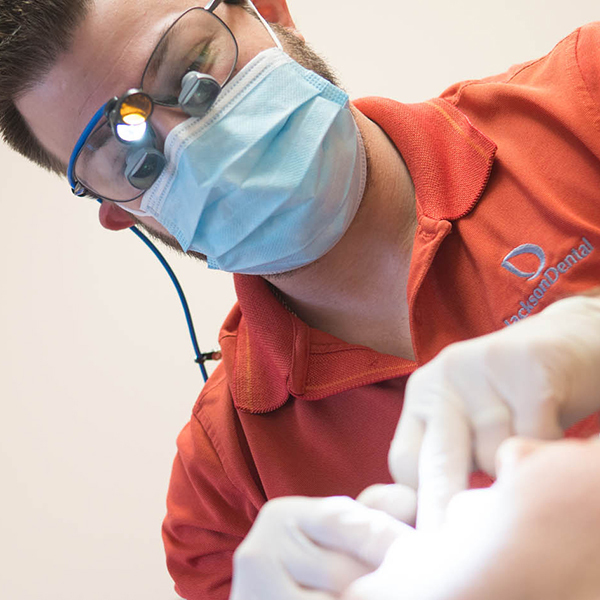 Comprehensive exams, x-rays, and regular cleanings are essential to your overall oral health. 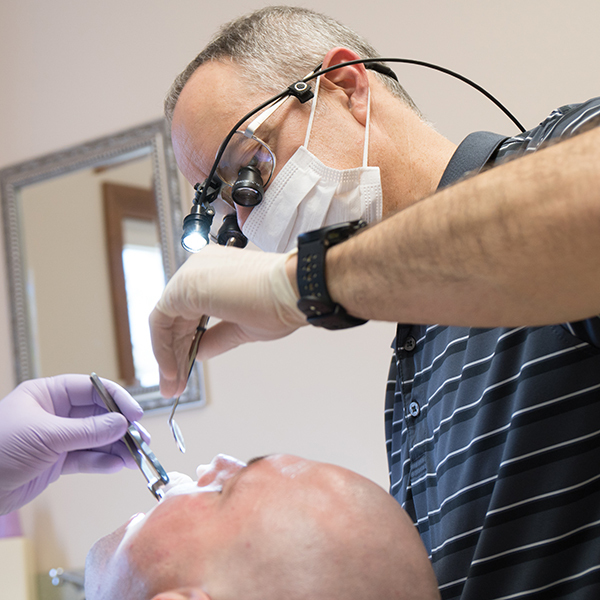 At Jackson Dental, we have incorporated a protocol to screen and aid in treatment of patients who may suffer from OSA. 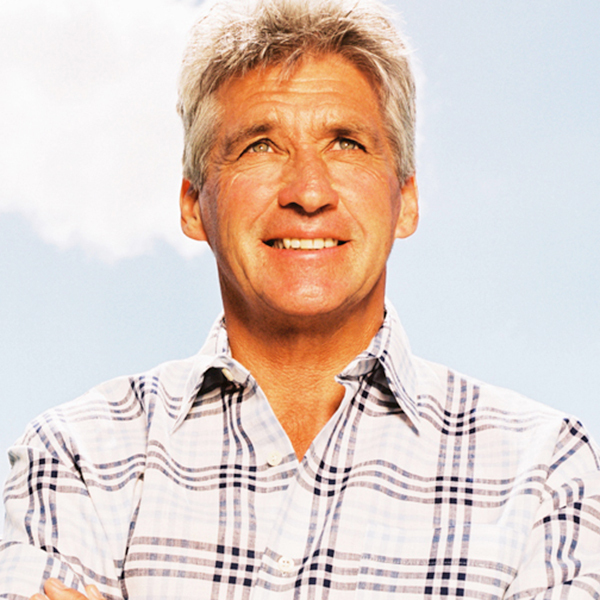 We offer beautiful, traditional dentures and permanent dental implants so you can smile confidently. Our experienced dentists can make a customized plan to complete your smile makeover. 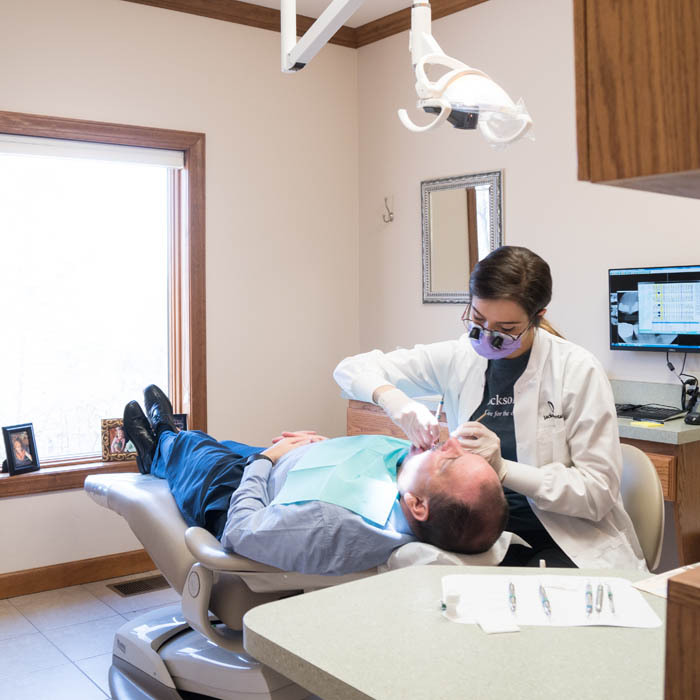 Minutes count when you’re in pain and at Jackson Dental we strive to see patients with urgent tooth issues the same day. 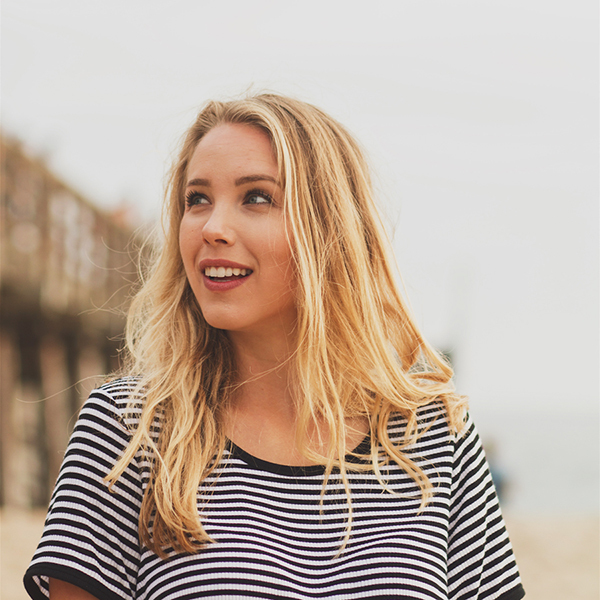 Our Invisalign services provide an alternative to metal braces and are custom fit to each patient. I am one of those people who has major anxiety when going to the dentist, but Jackson Dental along with Dr. Bell and his staff made it so much easier for me. Love the staff at Jackson Dental! They are great with our kids making them (and us) feel comfortable. They make going to the dentist a comfortable and enjoyable experience. Yesterday was my first visit, and I was at a loss for words. You wouldn't know you were in a dental office. Very nice big homey rooms. I've never been in a dental office that was unique as Jackson Dental.